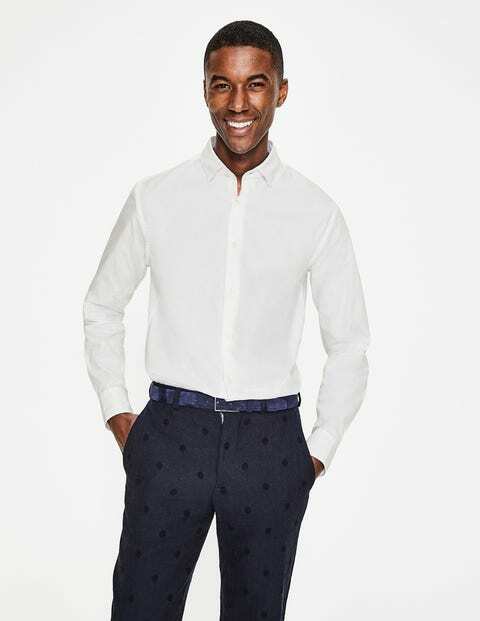 For a shirt as hardworking and reliable as you, this crisp poplin style is a party-season essential. Crafted from tightly woven cotton, it’ll hold its shape all day long – blazer or no blazer. Plus, with a neat cutaway collar, it’s ideal for showcasing your favourite tie, but works equally well without one. The discreet spot motif woven into the fabric makes it feel a touch more special, which is exactly what’s needed for this time of year.